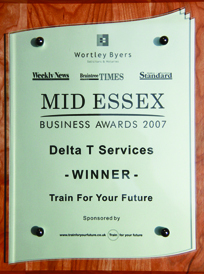 delta T has established a reputation for service and reliability over the last decade with its entire client base. delta T services also work through and for some of the countries leading mechanical and construction contractors designing supplying and installing air conditioning in Essex and London. We have worked for some of the High Streets leading names including GAP, Laura Ashley, Coral, William Hill, Greggs, Percy Ingles, Ann Summers, Money Shop, Thomas Cook, Hamley's, Aveda, Best Western, Bupa Care Homes and many others. We have also carried out works at some of the larger NHS London hospitals St Thomas's, Guy's, The Royal Free, and the London Ambulance Service. As well as working for many local authorities, Thurrock Council, Newham Council, Essex County Council. Our air conditioning in Essex and London has led us to work in over 60 schools throughout the South east of the country. And some of the country's famous landmarks such as the Natural History Museum. Click here to read what other customers think of us. 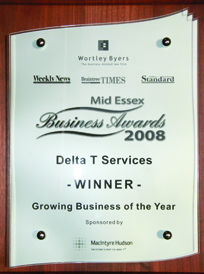 Delta T is committed to ensuring that all reasonable protection is afforded to the physical environment in which our installation and aftercare of air conditioning in Essex and London is carried out to prevent pollution and limit so far as is possible any environmental impact of our operations. We aim to promote good environmental management practises throughout all of our business activities, and actively encourage all of our staff both office based and mobile engineers to adhere to Delta T laid down policies and procedures. We aim to meet and where possible exceed our legal and statutory requirements for environmental protection. Our aim is to minimise waste production whilst carrying out the installation of air conditioning in London and Essex and recycle all materials wherever possible. Through forward thinking strategies and sourcing of more products and materials at a local level, we believe we have and can continue to reduce the impact of our business activities both on the planet and its resources. Delta T is at the forefront of promoting new technologies and advances to all of its clientele to reduce energy consumption and ultimately greenhouse gases. To this end the company has changed its entire fleet of vehicles to more fuel efficient and environmentally beneficial models, typically reducing fuel consumption by around 25-30% Not to mention the reduction in exhaust emissions. 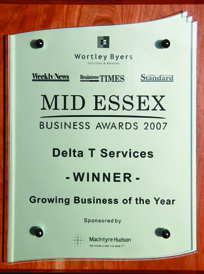 If you are looking for an environmentally friendly contractor contact Delta T now!